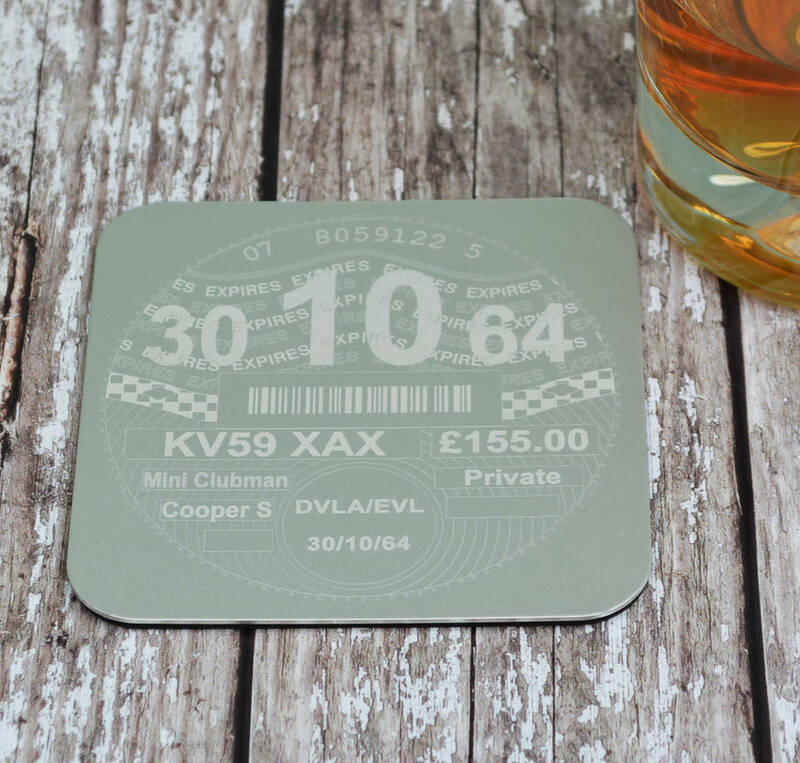 Perfect for the car lover, new driver or new car owner, all the details ion the tax disc are personalised to their date and vehicle making it extra special gift for the recipient. The details are entirely your choice so don't have to be an actual car but whatever is meaningful to the recipient. 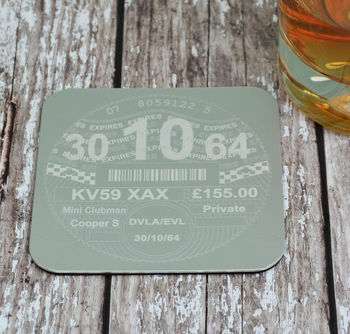 The coaster is made from aluminium and is etched to create the design. The back of the coaster has a felt pad to prevent scratching. A great gift for birthdays or Father's day. Looking for a corporate gift? To discuss your corporate gift needs, enquire about product personalisation and place your order please contact our corporate gift service team on 0203 318 5115.